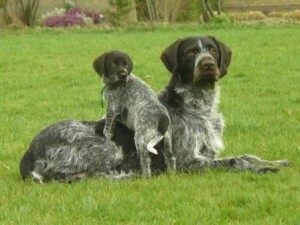 Dogs with great hunting drive and typical style of working, an honest and open character, and a functional conformation typical for the breed, which enables working at a high pace. Breeding requires research, reflection and awareness of responsibility. For us transparency and honesty come first. A dog is your companion for 12 to perhaps 14 years. So we don’t like tall tales that after a while prove misleading. We do our very best to breed dogs of optimal health and a good character. Next we try to match the new owner and the most appropriate pup (one of the instruments for this is the puppy test). A dog is a living being, not a machine, so that unlike your freezer you cannot get a watertight guarantee. But you can rely on us that every thing has been done to ensure that you obtain as good a dog as possible. The pups are reared in the home and are well socialized before they leave the litter. Follow-up advice is freely given. 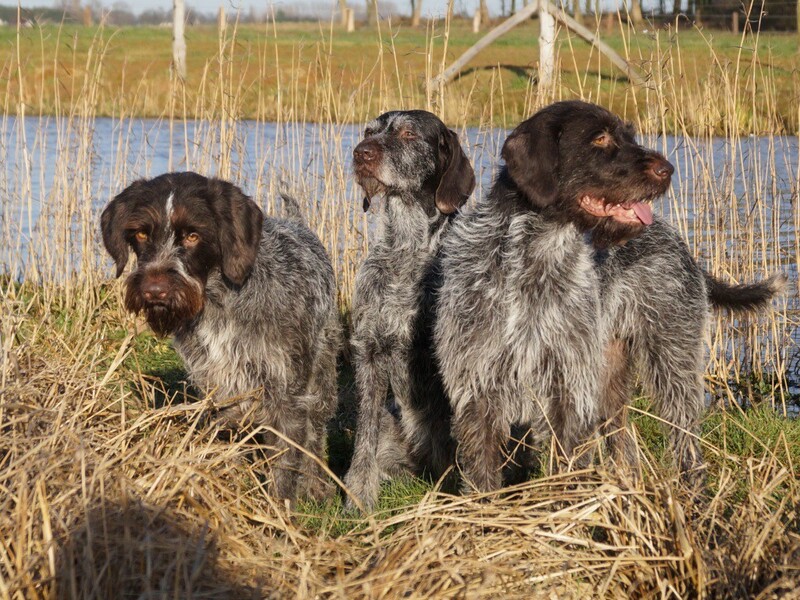 As a matter of course we always breed in strict observance of the rules and regulations set by the Dutch Kennel Club and the Netherlands Cesky Fousek Association (CFVN). We are a member of the Czech Cesky Fousek Club as well.